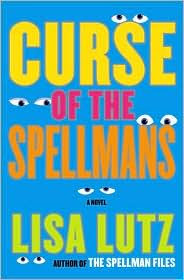 From the back of the BOCD: A New York Times best-seller, CURSE OF THE SPELLMANS is Lisa Lutz's sequel to her popular debut, THE SPELLMAN FILES. Two years have passed, and Isabel and her family of private investigators are just as dysfunctional as ever. Landing in lock-up for the fourth time, Izzy has a lot on her mind. Her dad is acting strange. Her mom is going on late-night secret missions. Her teenage sister finally has friends her own age--even a boyfriend. Someone's re-creating a rash of vandalism from Izzy's youth--which she certainly had no part in. And what's up with her family's new neighbor, John Brown (if that IS his real name)? Izzy knows he's no good, and she'll do anything, including getting arrested again, to discover his secrets. Be prepared to laugh uncontrollably at this droll heroine packing a rapier wit and a PI license. 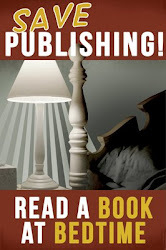 Narrator Christina Moore captures all of the hilarity in this rollicking tale. This is a very good series, especially to listen to. Christina Moore is the perfect narrator for each of the voices, each and every dysfunctional character. Izzy is on a mission to find out what exactly her new neighbor is up to. She just knows in her gut that he is evil. She continues to surveill him even though each time out leads to her arrest one way or another. She's about to lose her license to be a PI if she doesn't stop. Izzy is engaged to her cop friend, much to both their dismay. It's to help out a family member. There's so much more going on, the story is told in backwards and forward time that took me some time to get used to, but it made sense as Izzy tells her tale like a normal person would...or at least how I would. You start to tell the story of something that happened and you remember that you should maybe start a little farther back to make the listener understand what led up to the current tale. You don't exactly start over, but you go back a little bit in time to complete the tale. The story made me laugh and enjoy my time with this crazy family. I cannot wait until the next book in the series comes out. Definitely one of my favorite authors!